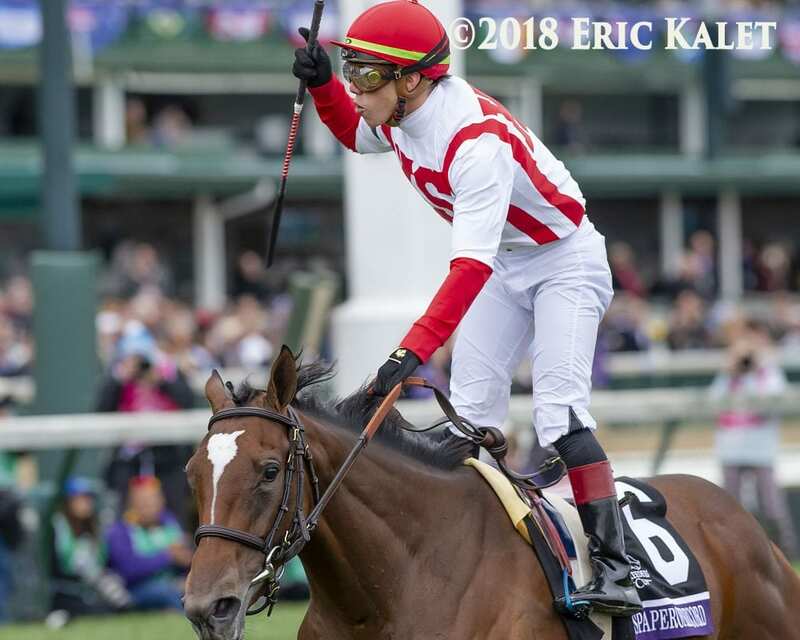 Seth Klarman's Newspaperofrecord has won her three career starts by a combined 20 lengths, including last Saturday's Breeders' Cup Juvenile Fillies. The budding superstar daughter of Lope de Vega has trainer Chad Brown considering a trip to Royal Ascot for the Group 1 Coronation Stakes, according to Horse Racing Nation. The filly is named in part for her dam, Sunday Times, but also as “a statement that we believe in searching out facts and that society needs to get back to facts and truth,” per Klarman. She was a $278,019 purchase at the Tattersalls October yearling sale, and has now earned $706,750. Read more at Horse Racing Nation. This entry was posted in Breeders' Cup, NL List and tagged Breeders' Cup, breeders' cup juvenile fillies, Chad Brown, coronation stakes, lope de vega, newspaperofrecord, Royal Ascot, Seth Klarman, sunday times, Tattersalls by Paulick Report Staff. Bookmark the permalink.